Today, I am so pleased to share the 9-Free nail polish collection from LONDONTOWN for summer 2017. I also review the cuticle oil, ridge filler and gel genius top coat. I hope you enjoy today's video! LONDONTOWN is the first and only nail treatment and color line that works synergistically to heal nails from within. 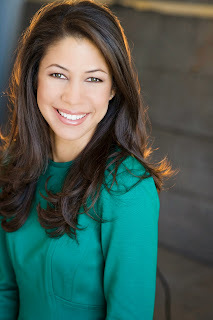 With a thoughtful and holistic approach in mind, LONDONTOWN developed a unique 5-step system that delivers noticeable, long lasting results. From root to tip, LONDONTOWN’s kur nail care system and bold lakur colours are formulated to provide the ideal balance between strength and hydration—leading to radiantly strong fingernails and nourished cuticles. Formulated with only the finest ingredients, LONDONTOWN is revolutionizing the nail care industry by offering an extraordinary high-fashion finish that nourishes deep down to the root. 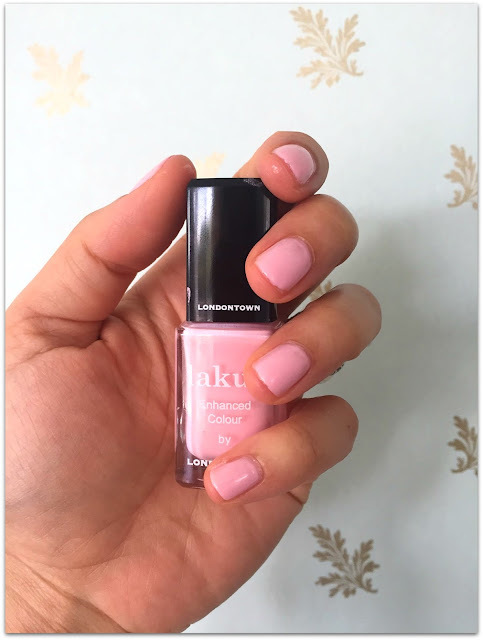 With LONDONTOWN ‘s signature manicure, fingernails are stimulated and hydrated, nail growth is accelerated, the entirety of the nail is fortified and unsightly yellowing is prevented. 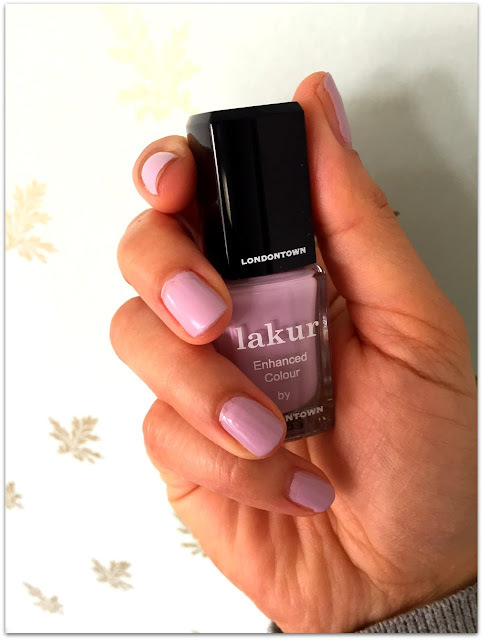 LONDONTOWN ‘s luxurious “9-free” lakur polishes deliver a stunning finish by combining rejuvenating ingredients with the season’s hottest colors. Lakur’s highly pigmented colors result in dramatically different long-lasting wear. 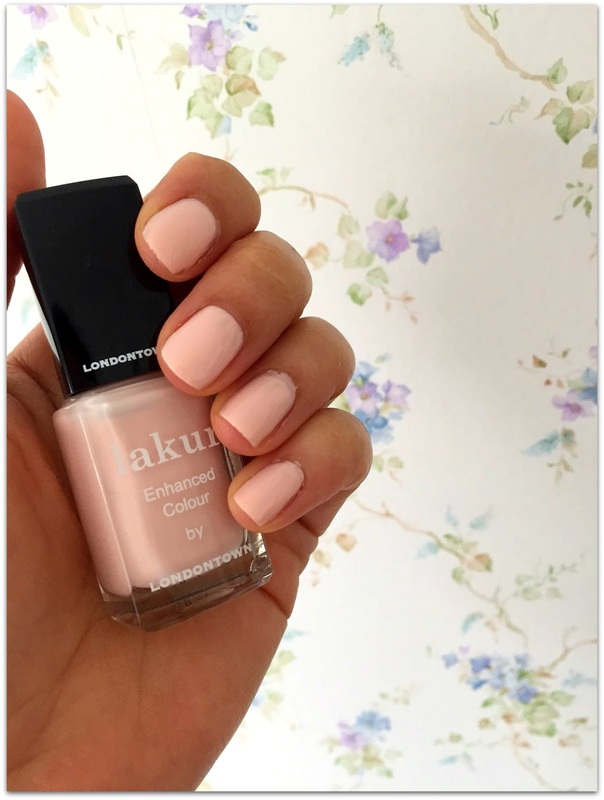 Lakur colors are vegan, gluten-free, and cruelty-free. Thank you to LONDONTOWN for sending me your summer collection! I truly adore these polishes. A PARIS ALL YOUR OWN, the new anthology I'm featured in from Putnam books comes out next Tuesday, July 4th! Putnam are hosting a giveaway right now, giving away ARCs of the book to readers. Enter here. I have to say that this is my first experience with a book club, and I am so thankful for it. It was just the thing I needed to get me back on track to #seekoutthearts. And to know that Georgie Pillson is your favorite character...he's mine too! One of my favorite parts in the book is when he thinks his sisters are burglars and he sneaks in on them with his toupee hanging off his head and his fire poker pointed at them like a gun, and they just laugh. I really like his sisters, too. They're the exact opposite of Riseholmites, loud and gruff, and they don't seem to care much about appearances. It's fitting that they're the ones who tell Georgie that the Guru is a fake--that in reality he's a cook in an Indian restaurant. And they laugh about that too! I'm looking forward to the next book club video; I'm really enjoying it. Hello Edna, I'm happy that your first experience in a book club here has been a good one! I truly love Georgie's sisters, Hermy and Ursy. They crack me up! I do think it was fitting that they recognized the fake guru and weren't drawn in by his tricks! Today, I would love to know what nail colors you are enjoying this summer. What is your favorite shade from LONDONTOWN's summer collection? See you all on Monday for our discussion of Miss Mapp! FTC: This is not a sponsored post. All opinions are my own. Links may be affiliate. 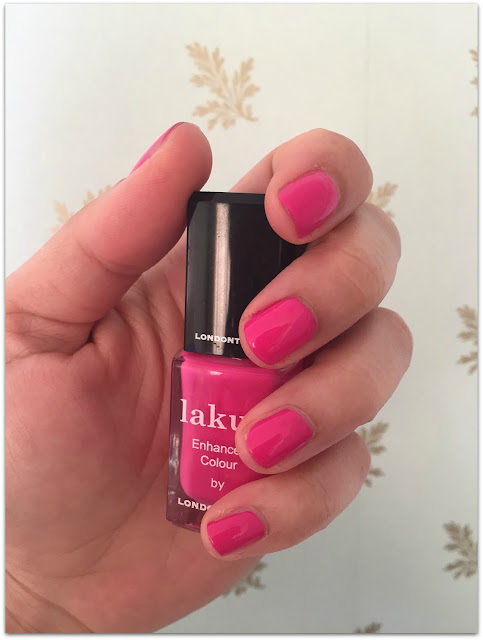 Londontown sent me their polishes to review. 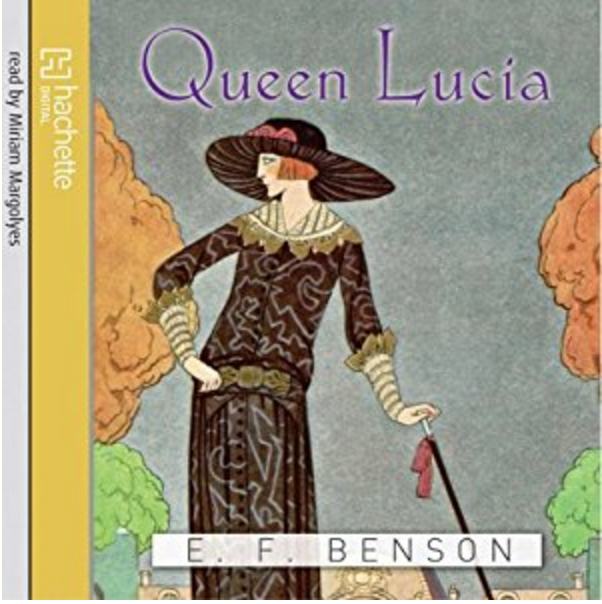 I'm excited to be starting our Mapp & Lucia Book Club today, starting with the first book in the series by E.F. Benson: Queen Lucia. In today's video, I'm sharing my observations about the book with you. Lucia reminds me very much of Hyacinth Bucket from Keeping Up Appearances. They both love the arts, think very highly of themselves and are self-professed Queens of their small communities. Even when suffering, the residents are thinking about how they look. Georgie is secretly pleased he had the biggest loss with his Louis XVI snuff box! As soon as it is discovered that the Guru is an impostor and a thief, Daisy proclaims him to be "Lucia's guru". The residents of Riseholme were had by both the guru and the Princess Popoffski. When you are so concerned about trends and what others think about you, you are more likely to be taken advantage of: think The Emperor's New Clothes. After each betrayal from the guru and Princess Popoffski are discovered, Lucia and co. carry on for a while to keep up appearances (the guru's practices and the Princess' fortune telling) even though they have completely lost interest in the activities. When you live in a town where people really care what others think of them, those people are more likely to be taken advantage of. Los Angeles is a place where people really care what others think of them. It is also a place where people pay a lot of money for some pretty crazy practices. You see this in all sorts of services and beauty treatments, etc. You can't get away with that in other parts of the country. Moral of the story? Never do things for "show" or to keep up appearances. The Madame Chic philosophy is to do things from a true inward passion, not because it is popular or trendy. 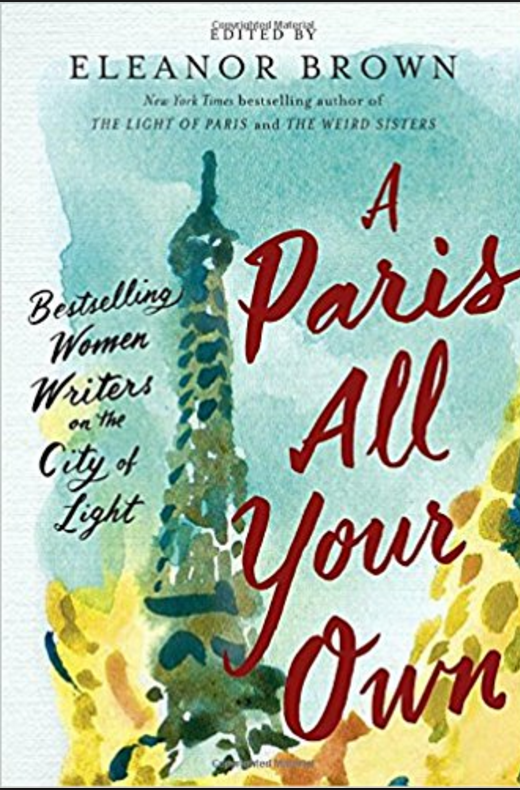 I am featured in the upcoming anthology, A Paris All Your Own: Bestselling Women Writers on the City of Light, out July 4th from G.P. Putnam's Sons. I'll be doing a book signing and speaking event on Saturday, July 15th at Chevalier's in Los Angeles. I noticed when I was a nanny and babysitter in high school and college that cartoons always seemed to be about romantic relationships more than about friendships between boys and girls. Young girls don't need to be focused on that kind of relationship or themes of jealousy and fighting over a boy. Instead, we need to teach children (and demonstrate this ourselves) how to have good friendships with everyone. Lillian, I totally agree. Disney movies, in particular, focus on romantic relationships in a major way. It would be refreshing to see them focused more on themes of friendship. Summertime is upon us, and in today's video I give a list of ideas that your children can do instead of watching television or playing video games. I also give an anecdote about something I noticed about children's cartoons. I hope you will watch today's video and chime in with your comments. As always, I love to hear from you. Heidi- this series was on Netflix. I cannot find a link for it, but it is a great children's series. As for activities that do not involve screens, these are the activities I discuss in today's video, written out here in list format. Learn to Draw, (for example: How To Draw Horses), build a fort, cook and bake, chores and organization, read, listen to an audio book, play outside (swim, ride bikes, roller skates), put on a play, go on a walk, play beauty salon (my favorite! ), dolls, play school, learn a new skill (shoe tying, snapping fingers, whistling), make play-dough, make oobleck. Mix water, vegetable oil, salt, cream of tartar, and food coloring in a saucepan until warm. Remove from heat and add flour. Stir, then knead until smooth. Store in an air-tight container. 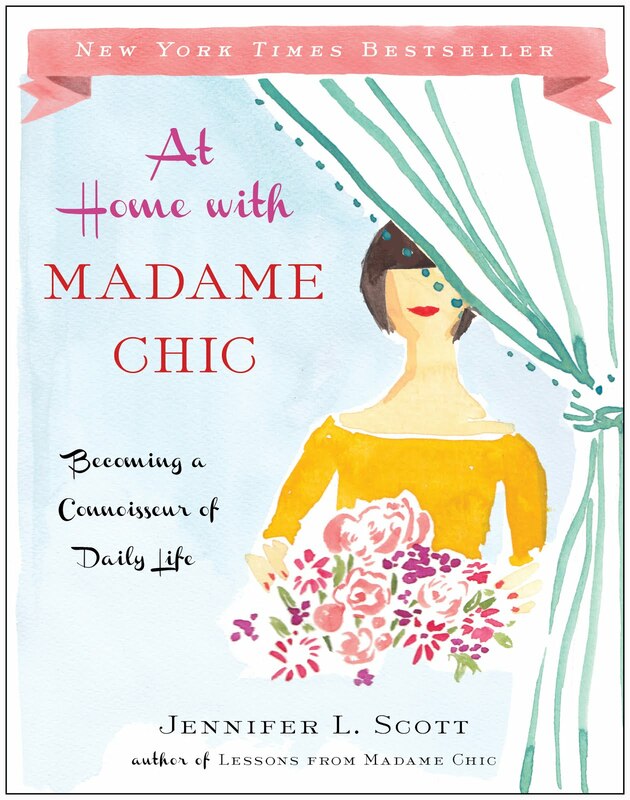 Elegant Living Everyday reviews The Madame Chic Collection on her blog. A cappuccino and Madame Chic, what more do you need? Hi Chrstine, I loved your email to me sharing your Madame Chic testimony. Thank you for your service to our country! Today I would love to know... what are your opinions on today's children's cartoons? Do you see inappropriate content like I do? What are you favorite summertime activities for children? Let me know and your comment could be chosen as comment of the week on The Daily Connoisseur! See you all next week for a nail polish review and the start of the Mapp and Lucia Book Club! Have a great weekend. When you have a ten-item wardrobe, you become keenly aware of the triumphs, as well as failures with your clothing choices. Today, I'm sharing three problems in my ten-item wardrobe with two core items and one extra. LL Bean denim skirt in the light wash (which appears to be no longer available in that wash). The second item is the coral blouse from TJ Maxx. While I love the color of that blouse, it is not washing well and is coming apart and pilling. The final item is an extra: a beige cardigan from Ann Taylor. After washing and steaming it, the cardigan has developed stains that I cannot get out. I have already replaced the skirt, and whether or not I replace the other two items is yet to be seen. If I find a blouse I love, I might purchase it for the wardrobe. As always, I will keep you updated! I hope you enjoy today's video. 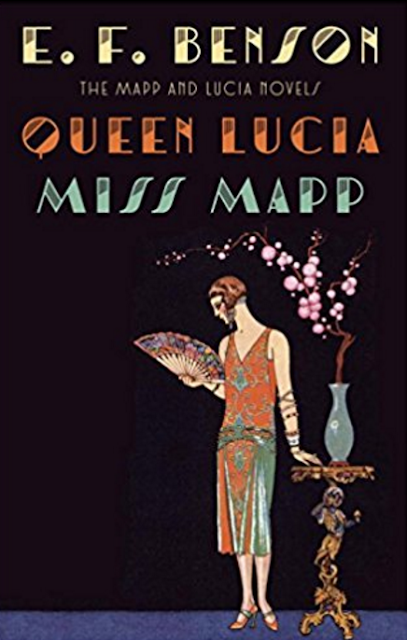 The Mapp & Lucia book club is starting soon! If you haven't already started reading the books, it's not too late. They are also delightful to listen to as audio books. All of the links are listed in my blogpost announcement. Please note: My author website was not notifying me when a new guestbook comment came in, and yesterday I found 27 of them! Thank you! I have published them all and want to thank all of you who have kindly written to me on my website, as well as those who have reviewed my books online. Thank you so much! Today, I would love to know... do you have problem pieces in your wardrobe? How is your summer ten-item wardrobe coming along? Let me know and your comment could be chosen as comment of the week on the blog! One of the topics from Lessons from Madame Chic that I am very passionate about is to seek out the arts. Whatever art form brings you joy, be sure to take time and support it. In many cases, you will have a talented artist in your own family! I am surrounded by many talented artists: my cousin, my sister, my mother-in-law and my sister-in-law, Rebecca, who I am highlighting today. 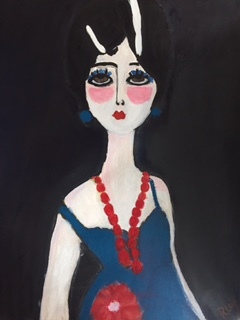 Rebecca describes her paintings as modern naive impressionist portrait images which stylishly capture characters from a bygone era. Rebecca, who is your inspiration? My Great Grandmother was a successful portrait artist and illustrator for Liberty's and Selfridges in London and she has always been my greatest inspiration on so many levels. I have always been fascinated by people and their style... I could sit and watch people for hours! As I began to paint I felt that I had finally found my passion. It brought on a wave of deep of happiness and contentment immediately. As a mother of two, how do you find time to paint? What medium do you use? I paint only when the desire comes to me! I am however more creative when I feel sad or frustrated. I often paint on the kitchen table whilst feeding the children their breakfast. My creativity is sporadic and sometimes I have such a strong urge to paint that I drop what I do and leg it back to the table or my studio. My medium is a mix of French pastels and acrylics and inks and often paint on Tibetan handmade paper ... I sometime dip my brushes into my cups of tea or red wine so I guess tea and wine are part of my medium! My favorite painter is Modigliani and I have always been rather inspired by Cambodian sculptures and 13th century french paintings. My advice to all artists would be to paint what you observe and feel. Thank you, Rebecca, for sharing your beautiful artwork with us today! Today, I would love to know... which portrait above is your favorite? Who is your favorite artist? Have a wonderful weekend, Daily Connoisseurs, and I'll see you on Monday! Losing my train of thought, babies taking down tripods, never ending background noise and little children photo bombing me... just a few things that go on behind-the-scenes on The Daily Connoisseur! I'm sure you've noticed that I have included my children more on the channel. They are such a big part of my life and we are nearly always together so it has been challenging not including them (as you will see in today's video). My family and I watched this bloopers video together and laughed along with it. We agreed that it was OK to put online and hope that it brings joy to your day. Working at home with children around has its challenges and I wanted you to know that I relate to your struggles. We work as a team in our house and try not to take ourselves too seriously. I hope you enjoy today's bloopers video and that it brings some much-needed laughter to your day. Fauziah Hafidha writes about inspiration from The Daily Connoisseur in her post, Inspiration. Monday's Teatime with Jennifer on Narcissistic Audience Members sparked a real passion among our readers. Hundreds of people chimed in with etiquette horror stories about unthoughtful audience members. Dear Paperbits, I agree about appreciating the moment. In this digital age we feel we need to share everything, almost as if the experience is meaningless unless we record and share. I struggle with this too and have to consciously refrain from it. Thanks for your comment. It was one of the most liked comments on my video! Today I would love to know... do you have children and work from home? How do you balance work and family life? Do you have any fun "bloopers" to share with us? Let me know and your comment could be chosen as comment of the week on The Daily Connoisseur! It's that time of year again! Time for recitals, performances and special ceremonies for our children. In today's Teatime with Jennifer, I have another etiquette horror story for you and discuss a trend that I am noticing lately: narcissistic audience members. We have all seen them: people who disrupt performances because they are not thinking of others. Blocking other people's views with their recording devices, texting and talking loudly... these are just some of the offenses! As our society becomes more and more narcissistic, it is important for us to discuss these sometimes touchy subjects and realize that our actions matter and do affect other people. I hope you join me for today's chat and chime in with your thoughts in the comment section below! Apartment Therapy shares my TEDx talk on the Ten-Item Wardrobe in their article, Flirting with Minimalism or Downsizing? These TED Talks May Just Talk You Into It. I give my best advice to aspiring bloggers on the Fernweh Society. Regarding the Reija Eden Jewelry Giveaway.... CONGRATULATIONS to Marija Charlton! Marija, please message me with your contact information so I can arrange for you to receive your jewelry. Thank you to everyone who entered this YouTube giveaway and for everyone who supports my channel. Special thank you to Reija Eden Jewelry for generously donating the items for this giveaway. Hannah S writes: I just love your videos and mindset. As a 23 year old, I stumbled over your channel by accident but have really rethought my yoga pants and tee shirt wardrobe and have made a lot of changes...I am AMAZED at how much more confident I feel. When I get up and put on real clothes in the morning, I feel like I'm "showing up" for life and my family. 😊 thank you for helping so many! Dear Hannah, I'm thrilled that you have found inspiration from my YouTube channel and am glad that the changes you are implementing in your life are affecting you in a positive way. Blessings to you! Today I would love to know... do you have any stories to share regarding narcissistic audience members? Have you noticed this behavior has gotten worse in recent years? Do you have any audience etiquette tips you'd like to add? Let me know and your comment could be chosen as comment of the week on the blog. After reading Queen Lucia, I have had curries on my mind. Can you tell? First, I made an Authentic Indian Chicken Curry and in today's video, I'm making a mild coconut chicken curry in the slow cooker. I make this dish regularly and my children love it. Place potatoes and onion in the bottom of a slow cooker. Place the chicken on top. In a bowl, combine the coconut milk, chicken broth, curry powder, salt and pepper. Stir, then pour over the chicken. Cook on low for 8 hours. A half hour before the cook time is finished, add the thawed peas. Continue cooking for 30 minutes. Serve the curry over rice and garnish with cilantro and green onion. Enjoy! I was interviewed by Annika of The Fernweh Society about writing, Paris and much more. 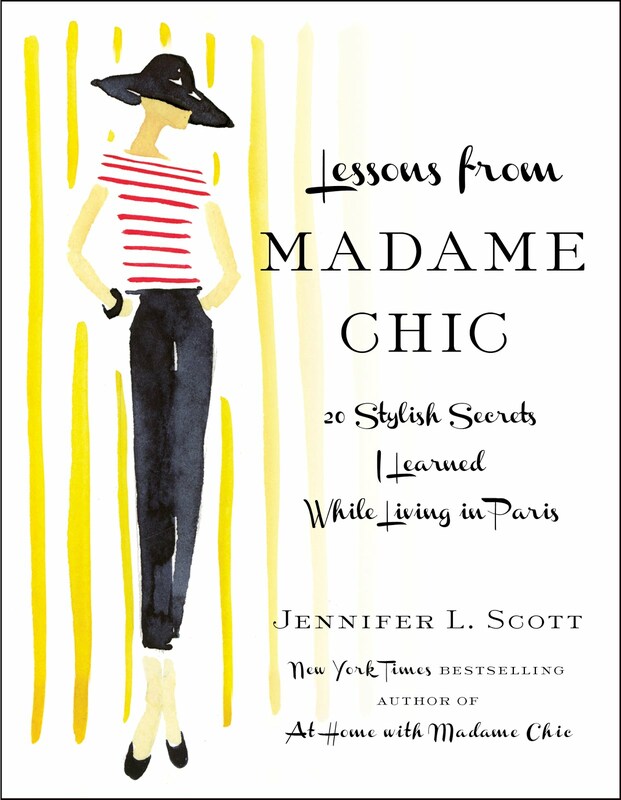 Sam's Sunday Favorites chooses At Home With Madame Chic as one of her favorite books right now. Hi Kristie, your comment made me smile. I'm glad Monday's video provided you with the motivation you needed! Have a lovely weekend and I will see you all on Monday! Today, I'm sharing one week of outfits from my ten-item wardrobe. This is a pretty typical week for me with a lot of housework, cooking, parenting, writing and filming. I hope you enjoy today's video. If you enjoy content like this, please let me know and I will continue to make similar videos! 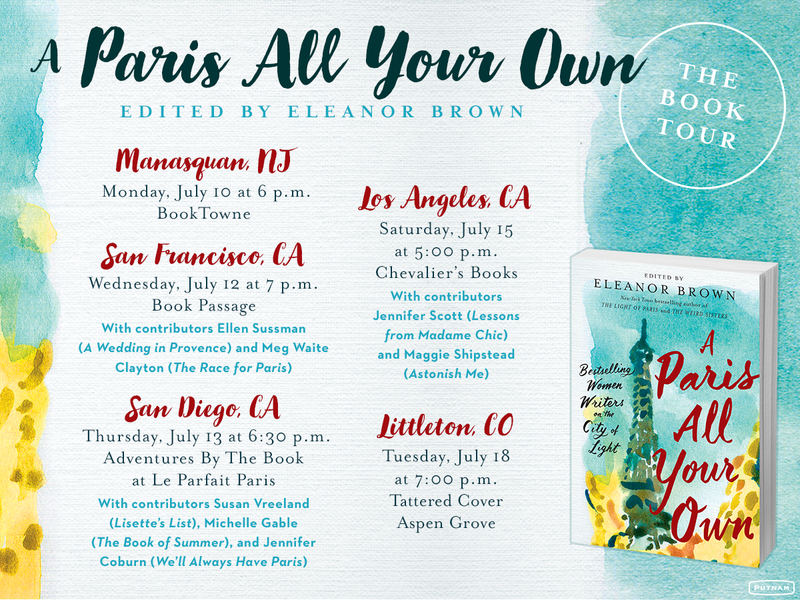 I am a part of the wonderful new anthology, A Paris All Your Own, and will be doing a book event on July 15th at Chevalier's in Los Angeles. Hope to see you there! Mina Irfan reviews The Madame Chic books on her YouTube channel. Thank you, Mina! Lovely flowers, Jennifer! I also enjoy reading and cooking, along with decorating, journaling, hiking, paper crafting, and learning to play the guitar. I really enjoyed reading about all of your hobbies. La Petite Maison, I love that you are learning to play the guitar! Thank you for sharing your interests with us. Hello Daily Connoisseurs, as we go into the weekend, I wanted to share a quick video with you, asking for your feedback for the upcoming Mapp & Lucia book club. I would love to hear from you! Please leave your comments, observations and desired discussion topics in the comment section and I can discuss your comment in my book club video series. Check out my original Mapp & Lucia Book Club announcement here. Queen Lucia and Miss Mapp are readily available and can often be found for free on the kindle or other eReaders. You can always check your local library as well for the books. Here are some easy links to the books on Amazon:Queen Lucia and Miss Mapp paperback, On the kindle (99cents), Queen Lucia on audible , Miss Mapp on audible. FTC: This is not a sponsored post. All opinions are my own. Links are affiliate. 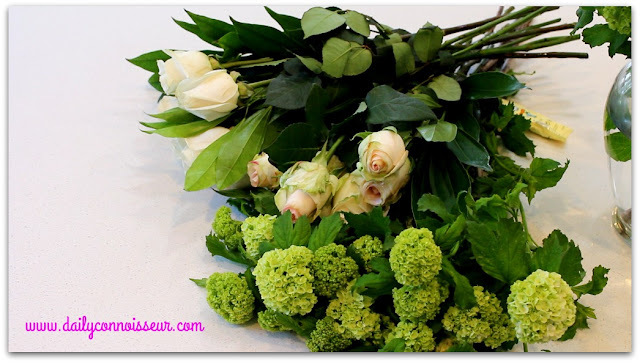 In today's video, I'm arranging three bouquets of flowers consisting of green viburnum, and two types of cream-colored roses. 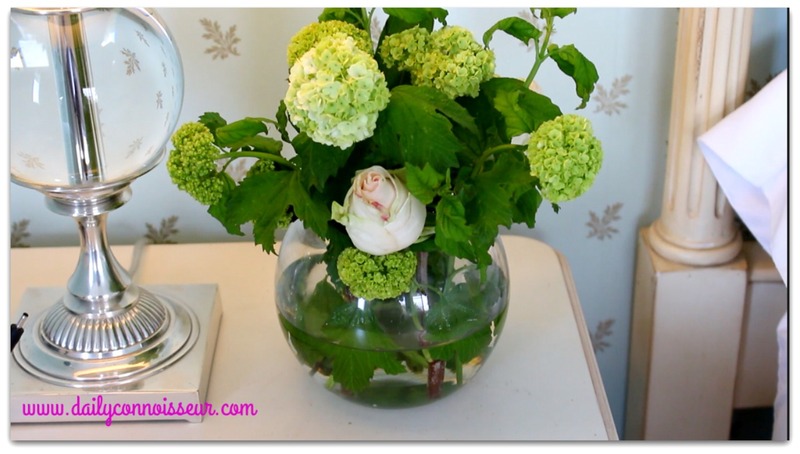 Flower arranging is a hobby that is not only relaxing but highly satisfying for me because I get to express my creativity and concentrate on a beautiful art. In this video, I encourage you to take time out of your stressful day and indulge in a hobby that you enjoy. It's important that we don't let go of the small things that bring us joy. 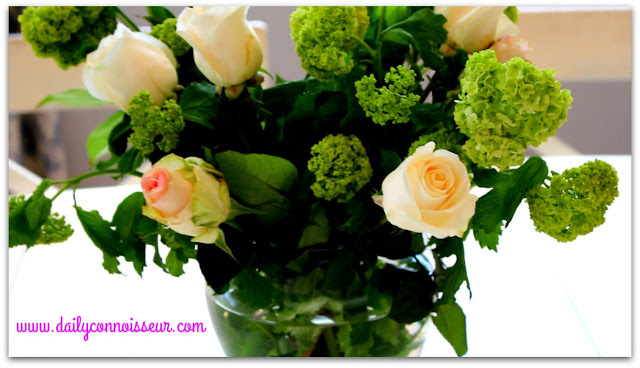 My favorite hobbies are reading, playing the piano, gardening, cooking and flower arranging. Today, I would love to know what your favorite hobbies are. Let me know in the comment section, and your comment could be chosen as comment of the week on the blog! Here is a photo of Polish Your Poise with Madame Chic in Japan. 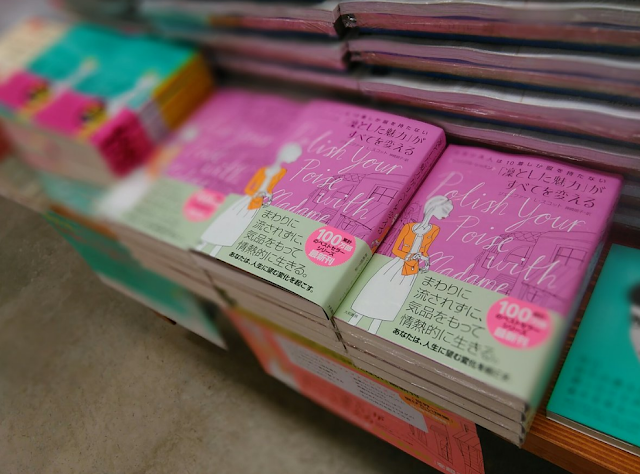 There are over one million copies of the Madame Chic books printed in Japan. Thank you, Japanese readers! Cedar and Bloom shares her ten-item wardrobe for spring/summer. 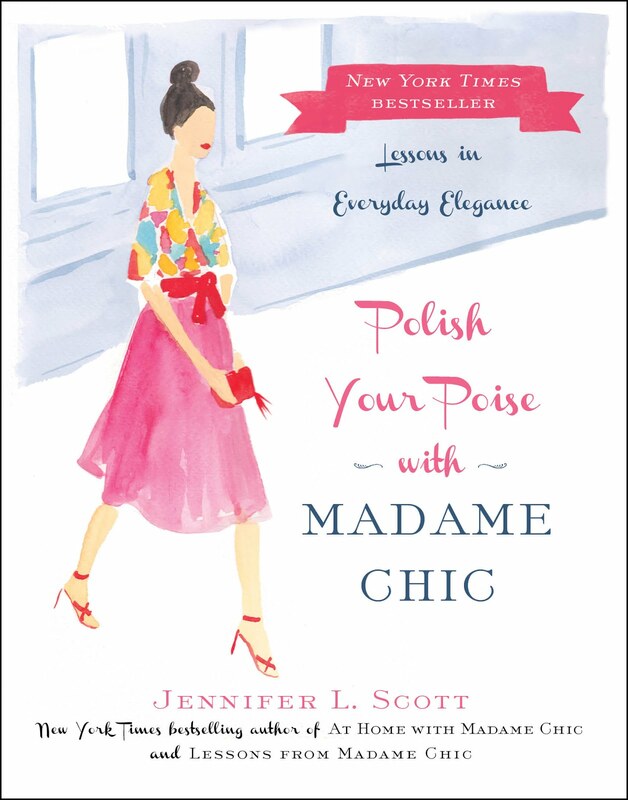 Myspoclifedotcom shares a review on YouTube for Polish Your Poise with Madame Chic. I have a little note about dressing nicely. I moved to a very small rural town after living my whole life in San Francisco for my first job as a teacher. I natural stand out here being one of very few African American people and the only one with an Afro. Since moving I've dressed up more and ditched the sweats outside of the house. This weekend a stranger introduced themselves to me (we've lived here for almost two years now) and said "I see you in town all the time in your nice dresses- I've always meant to say hello. You seem so nice!" I am pretty shy about meeting new people in town so it was so nice to hear that just dressing nicely was enough to make someone see that I am friendly! I am on a first year teacher's salary in a rural place and my husband is a clerk at the hardware store and on the volunteer fire department- we do NOT have a to of money. I wear and re-wear the same key pieces, and people give me compliments and notice that I'm re-wearing something. And that's okay! Thank you for motivating me and other to look presentable always and to use the nice things we have! Allison, I loved your email to me. Thank you for letting me share it on the blog. Your testimonial made me smile! I love that your neighbor went out of their way to let you know how much they appreciated your efforts. And bravo for proving that you do not need a big salary to look presentable always! Have a wonderful weekend... see you on Monday!